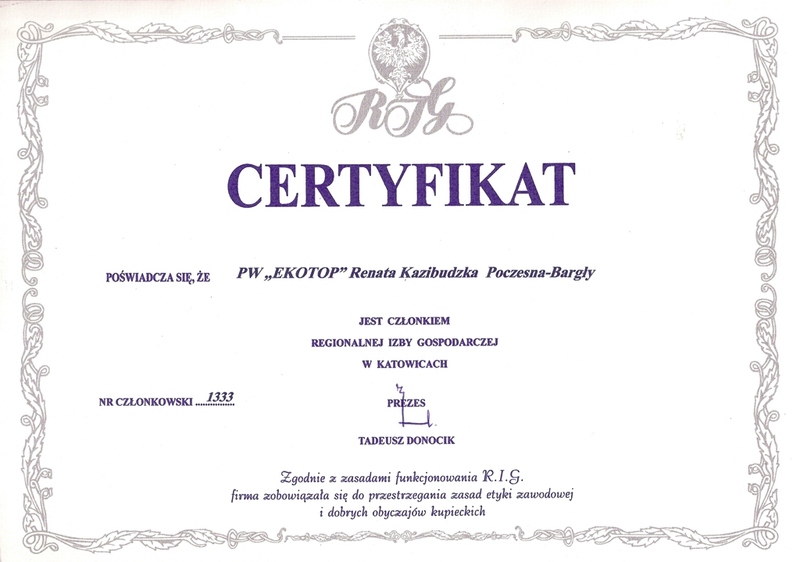 EKOTOP Renata Kazibudzka, a multi-business company, is a private establishment operating on the domestic market since 15 March 2001. 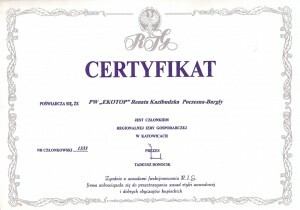 It was entered in the register of business activity in the Poczesna Commune Council under number 2104. 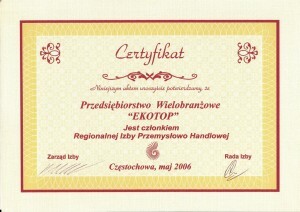 EKOTOP specialises in various types of modern services and trade. Its leading activity involves comprehensive hazardous and non-hazardous industrial waste treatment solutions. We can handle the whole Waste Catalogue. Additionally, we specialise in removing materials containing asbestos, such as roofing and insulating materials, or elements of building facades. We hold necessary concessions (to be downloaded from our website), allowing us to collect and transport hazardous and non-hazardous waste, and on the basis of approved programmes of waste treatment. What is more, our company has its own means of transport and properly qualified staff, which guarantees prompt and efficient completion of the tasks commissioned. We offer our services and products across the country. Since 2009 we have been the exclusive sales representative in Poland of the Wegscheider Farben company, selling WEFASAN products. We also cooperate with the Industrial Chemistry Research Institute in Warsaw, the Institute for Engineering of Polymer Materials and Dyes in Toruń, Częstochowa University of Technology and the Institute of Mechanised Construction and Rock Mining. We are also a member of the Regional Chamber of Commerce and Industry in Częstochowa and the Chamber of Commerce and Industry in Katowice.